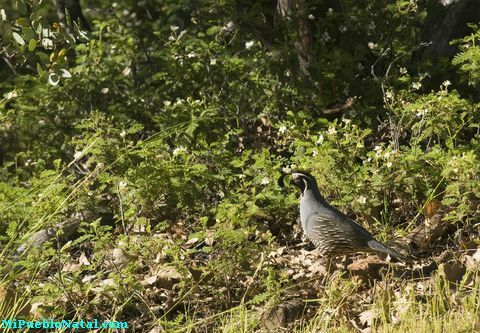 The state bird of California is the California valley quail (Callipepla Californicus) which was designated in 1931. This bird is also known as "California partridge, Catalina quail, Topknot quail and Valley Quail." The California Quail is "known for their hardiness and adaptability, the native California valley quail is a plump bird, smaller than a pigeon, with a distinctive black plume on its head and a black bib with a white stripe under its beak." Other special keywords used to help you find this page are state bird California and state bird for California.